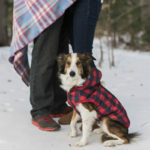 If you live somewhere that has snow, I hope you’ll get some photos of your dog enjoying it! 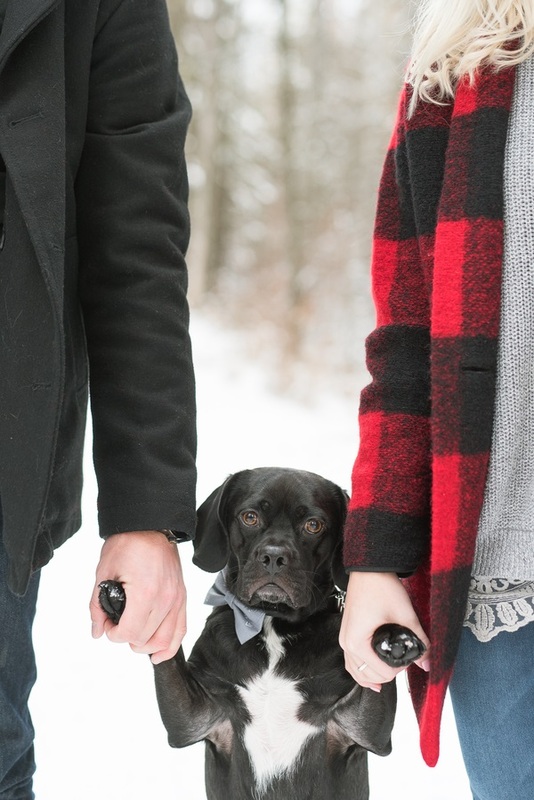 Thanks to Raelene Schulmeister Photography for these snowy engagement photos of Pete the Puggle and family! Having Theo, I’m a big fan of Puggles. From Taylor: “Pete is currently two years old, will be turning three on June 11th. 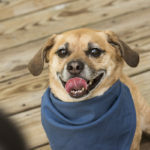 His name is Pete, but we all call him ‘Petey”, he is a Puggle which is a cross between a Pug and a Beagle. A big difference that separates Petey from most other puggles is his color. 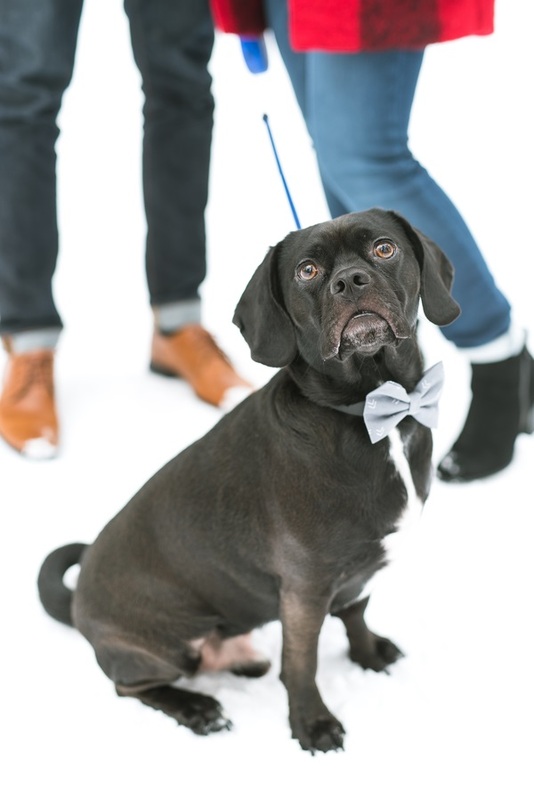 Most puggles are a brown color and Pete is all black with a bit of white on his chest. 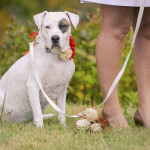 Petey has more of a human-like personality; he is definitely an attention seeker and always has to be in your face, so you will pay attention to him and pet him. He is very very cuddly, and he has a few quirks that are pretty funny. Petey definitely loves his toys and has a big toy bin full of shredded toys. When Jillian or I come home, he always has to go to his toy bin or find the closest toy to him and bring it to show us. It doesn’t matter if we have been gone for an hour or six, it is always the same routine! When he was a baby we got him this toy called “Santa Monkey” it is a monkey that has a Santa hat on. This is by far his favorite toy because he carries it around everywhere from around the house or to our bed when it is bed time. It has definitely seen better days as it looks like just a piece of brown fabric with a little Santa hat on the end, but he still trucks it around the house and always has it with him. Another thing about Petey is his thing with blankets. Whether we are downstairs on the couch or up in bed, Petey always has to be under the covers in between our legs. 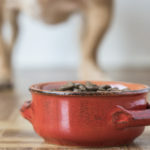 His usual routine is he will jump up behind you come give you a few kisses and then he will use his nose to lift up the covers to tell you he wants under. Follow Raelene Schulmeister Photography on Instagram. 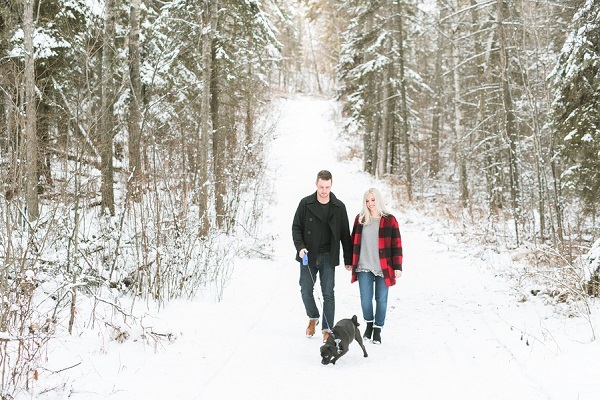 About Raelene Schulmeister Photography: Based in Cental, Alberta, Raelene specializes in wedding and portrait photography. aw what a sweetie! We just got a puppy… he’s a 3 month old golden retriever. We are so in love! How exciting, I hope that you get lots of photos of him! Oh my goodness, he is so adorable. I love the bread mix name Puggle. Lovely pictures. Enjoy him. 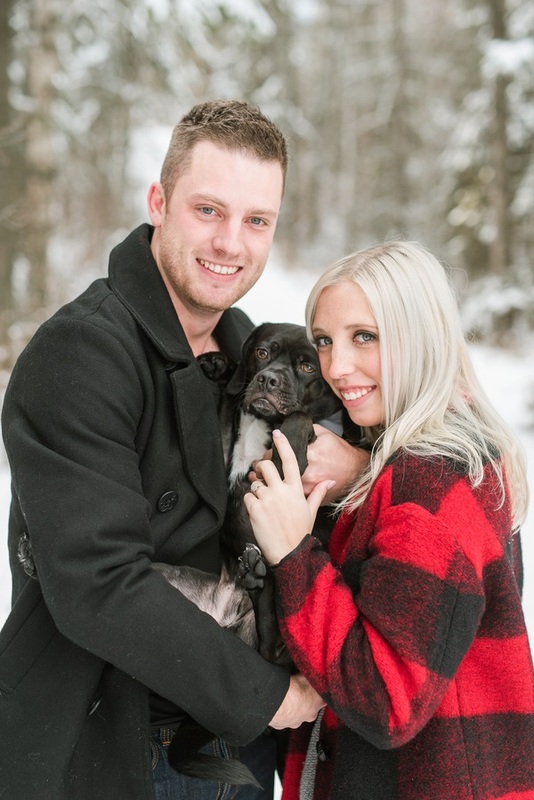 Oh my gosh you pictures are absolutely adorable! I love your puggle. That bowtie is killer and I love the shot where they’re holding hands/paws. What a cutie pie! 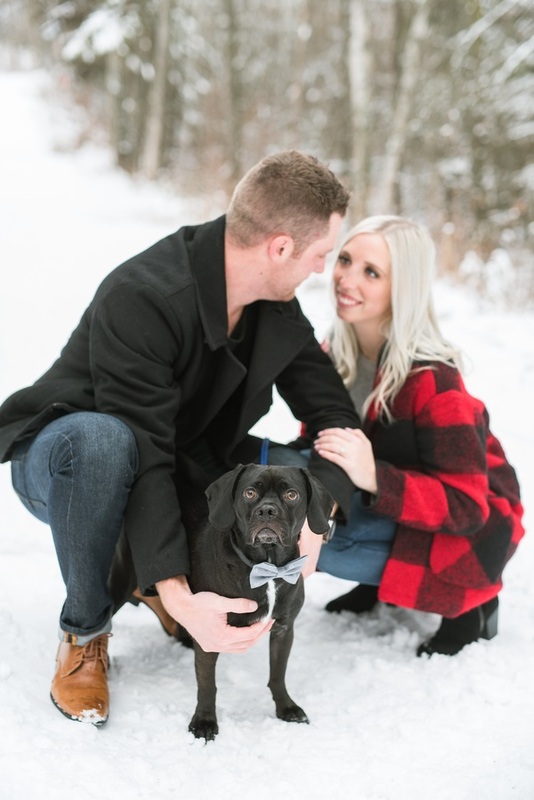 I love his bow-tie (love a dog in a bow-tie). Love that he walks on everything including sometimes across their face. The picture of them holding his paws is precious! I can’t get over how cute this is! 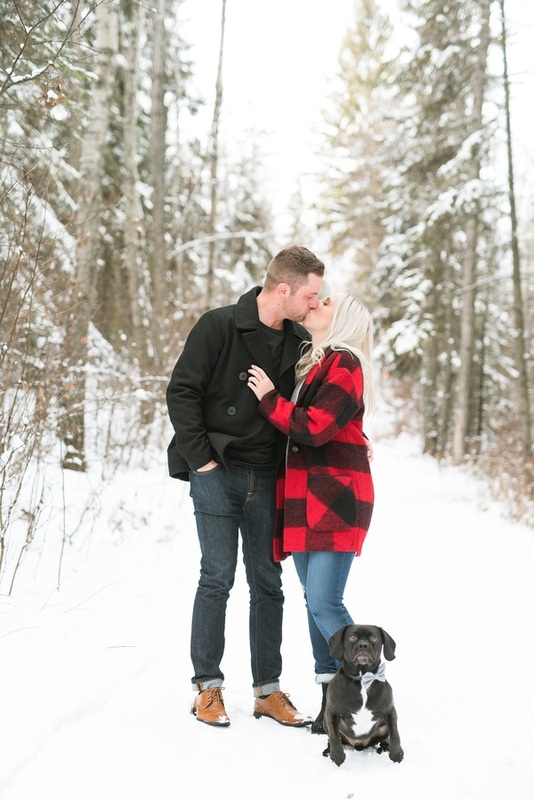 I love engagement shots that include dogs and you’re is absolutely adorable!